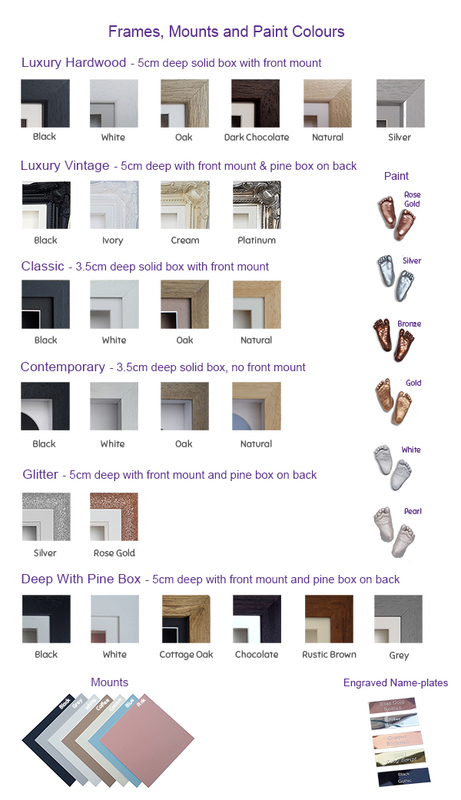 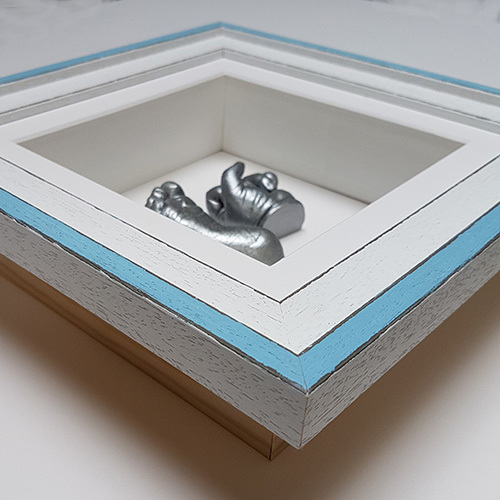 Our Deep 16 x 10" single aperture frames are made from your choice of stylish moulding with a high quality 5cm (2 inches) pine box on the back to give extra depth for bigger casts. 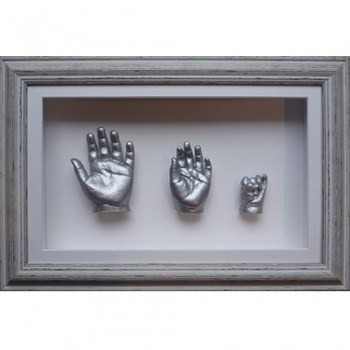 Our Deep 16 x 10" Single Frames are professionally hand crafted in the UK. They are made from your choice of stylish moulding with a high quality 5cm (2 inches) pine box on the back to give extra depth for bigger casts. 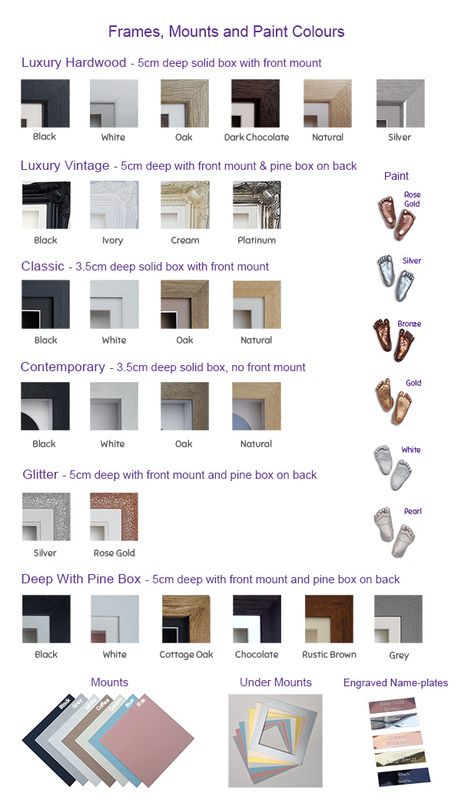 The inside of the pine box is painted white. 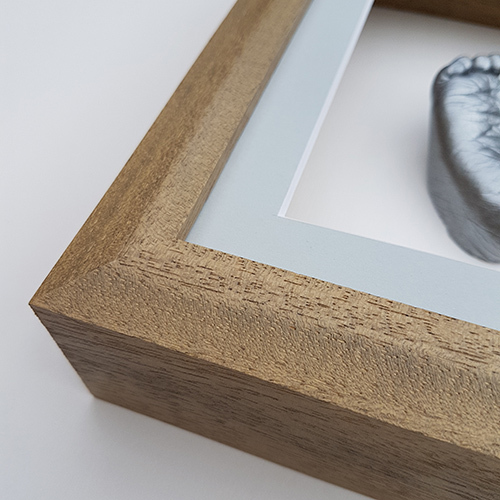 The frame comes ready assembled so you don't have to deal with fiddly screws or loose panes of glass (unlike some other frames). 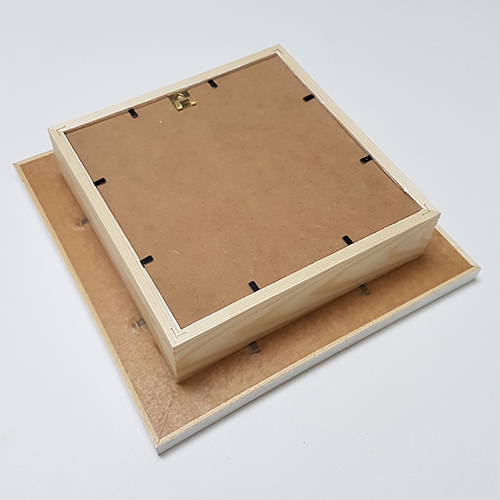 The single rectangular aperture measures 35.5 x 20.6 cm. 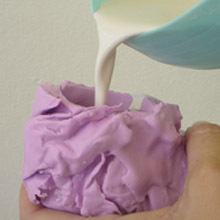 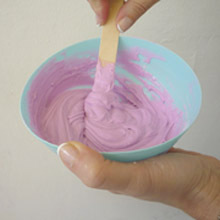 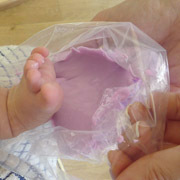 Several positionings of casts are possible. 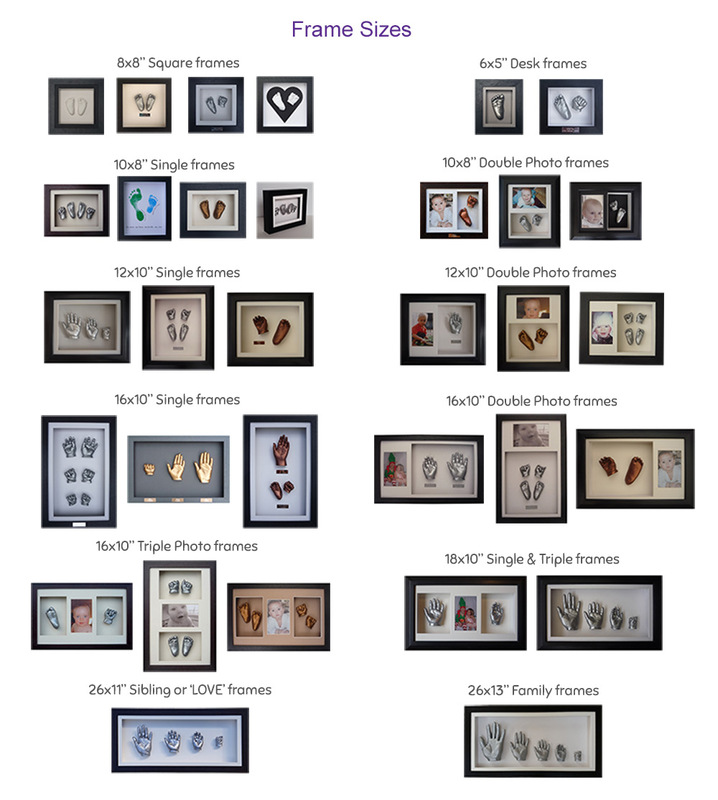 Choose from several frame styles with your choice of precision-cut mount. 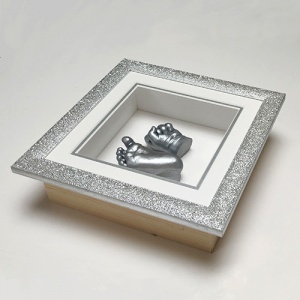 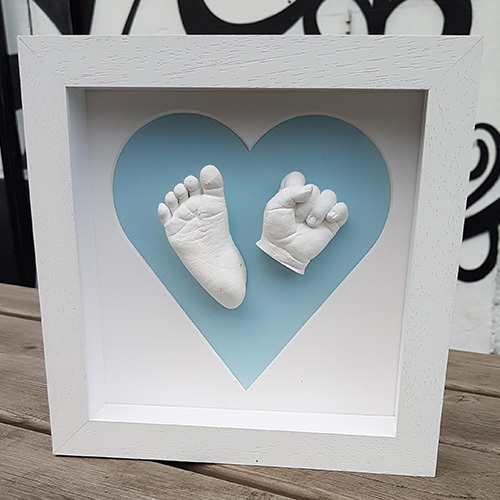 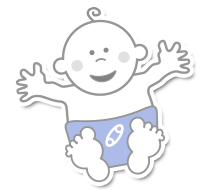 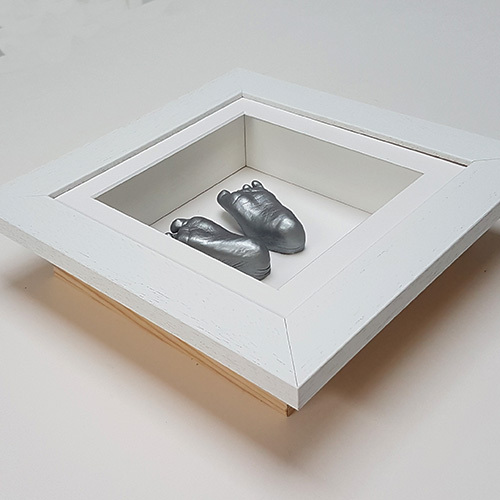 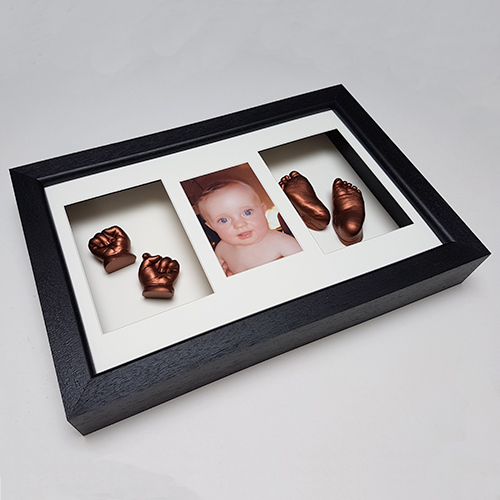 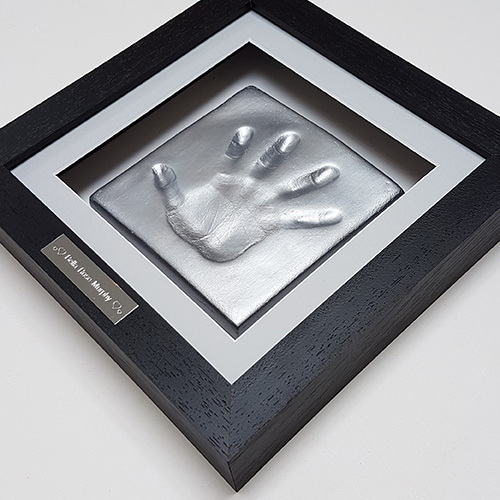 The deep frames are best suited to 2 casts each of twins or 4 casts of a toddler with engraved name-plate(s), babys first year casts (done at 6weeks, 6months and a year old), casts of siblings or 2 adult casts.